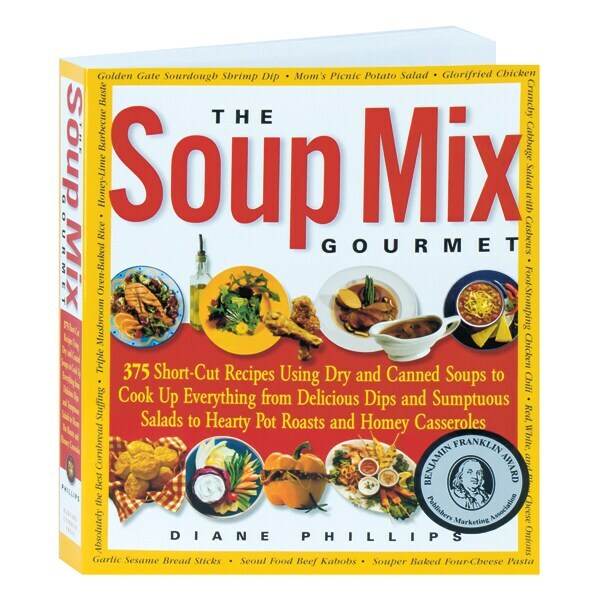 Canned soup needn't be boring, suggests Diane Phillips, who offers here 375 recipes that use dry soup mix or canned condensed soup as a key flavor ingredient, which gives you a head start when you need to prepare dinner in a hurry. Going far beyond "heat and serve," Phillips has used her culinary imagination and cooking skills to create dishes to suit practically any palate, among them Popcorn Chicken Salad with Creole Mustard Dressing, Broccoli Cheese Soup, Onion Herbed Focaccia, Oven-Fried Potato Wedges, Baked Mac and Cheese, Huevos Rancheros Casserole, California Burgers, Baja Fish Tacos, Cinco de Mayo Corn Dip, and Pork and Peanut Stir-Fry. Phillips's easy-to-follow recipes are accompanied here by her guidelines on how to stock your pantry, and a section on sauces.